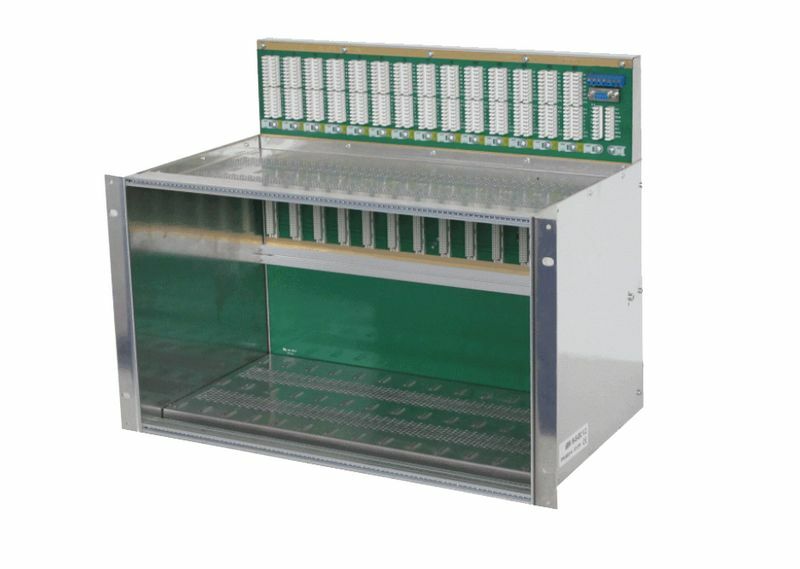 The 19" Rack for management system accommodates the central unit cards at the Exchange side and provides the necessary line and power interfaces. The standard size supports its installation into 19 frames. The rack has separate connectors for the subscriber and power lines of each position and NMS connections. Multiple racks can be linked next to each other to support the usage of simple network management access at the same place.